Badulaque is one of those places I was extremely glad to have given a second chance — which by the way, is an extremely big thing to me. I value money well spent so I’m not exactly keen on going (and much less going back) to restaurants I haven’t had a good experience with. But Badulaque completely won me over the second time I visited. Fast forward to today and I can honestly say it’s actually one of my most frequented restaurants in Rota, Spain. Vergs and I tend to be creatures of habit at times. When we find something we love, we keep gravitating toward it, not even bothering to try anything else on the menu. I’ve realized that’s how we usually are in the places we’re based in. Snack Shack burgers in the Philippines; Mexican food options in San Diego; sizzling garlic shrimp, glasses of wine or sangria, and my favorite Badulaque foie gras in Spain. I’ve mentioned Badulaque in a previous monthly favorites video and it’s pretty obvious that I’m still not over it. Just look at those foie gras pieces. I’m practically drooling right now because I’m remembering how they just melt in the mouth. I’m not one to eat foie gras all the time because (1) it’s insanely expensive in the Philippines, and (2) all that cholesterol is bound to shave years off my actual lifespan. But during the times that I do indulge, I make sure that I do so with utmost appreciation. Badulaque serves a plate of foie gras pieces that is just perfection on a plate. Whether eaten on its own or placed on crostini, it's a dish that deserves attention. That being said, it’s not something to scarf down in a matter of seconds. Rather it’s an appetizer meant to be eaten with good conversation. 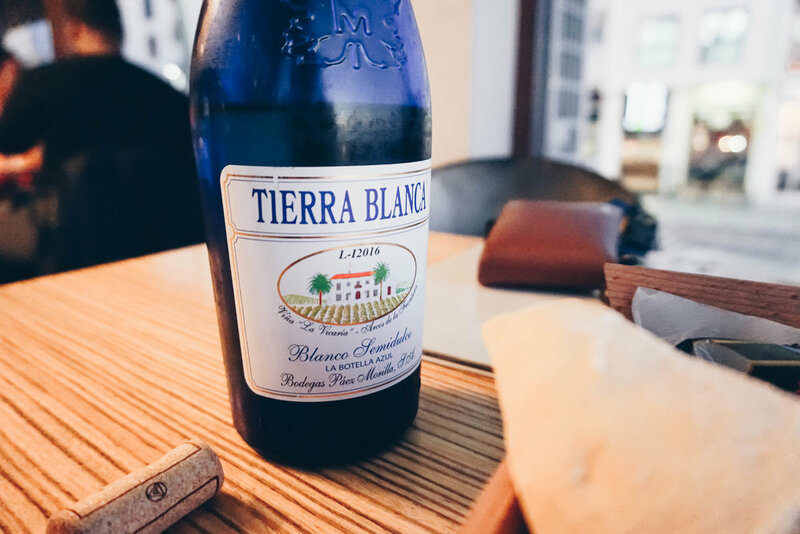 I love a good semi-sweet wine no matter what the occasion, so I was extremely happy with Badulaque’s recommended Tierra Blanca as well. A bottle costs 12 Euros in the restaurant, but if you’re trying to make every Euro count, you can score the same bottle at a local Mercadona for a mere 3 Euros. Score!